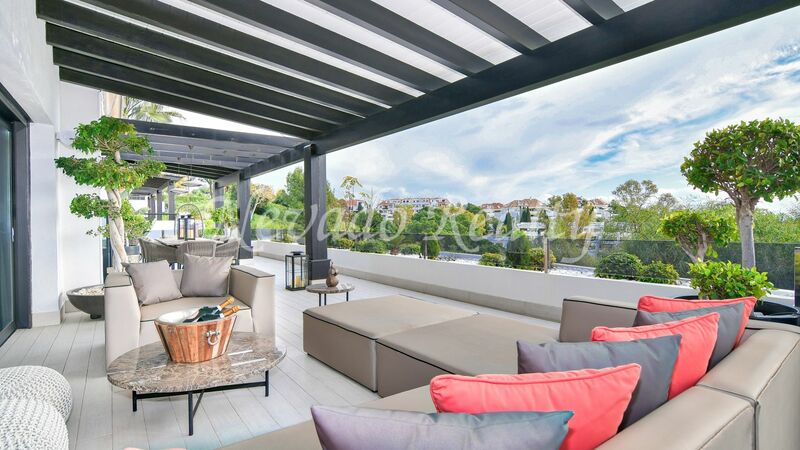 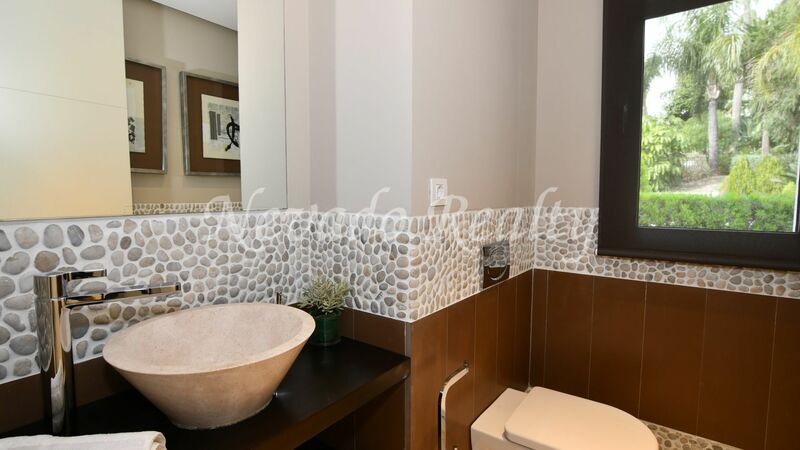 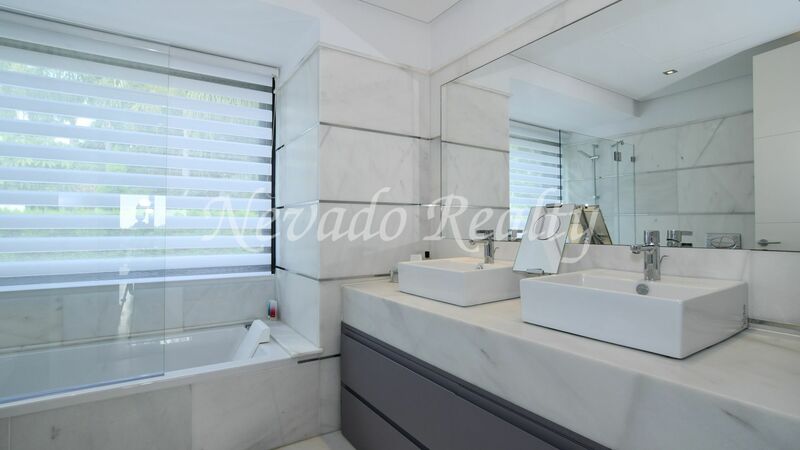 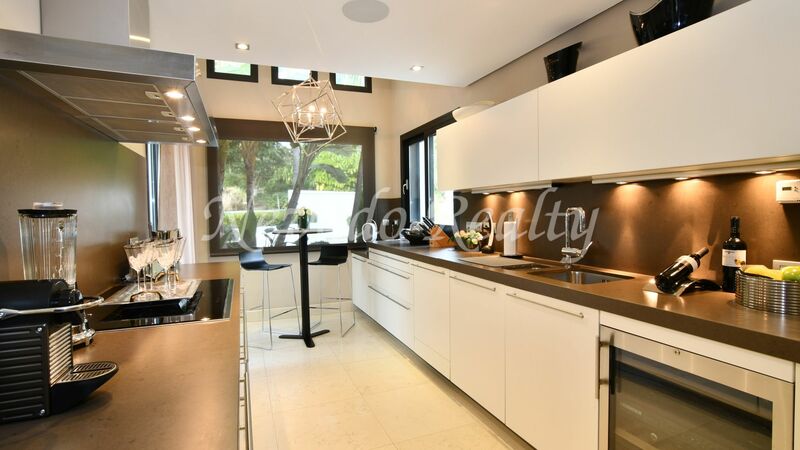 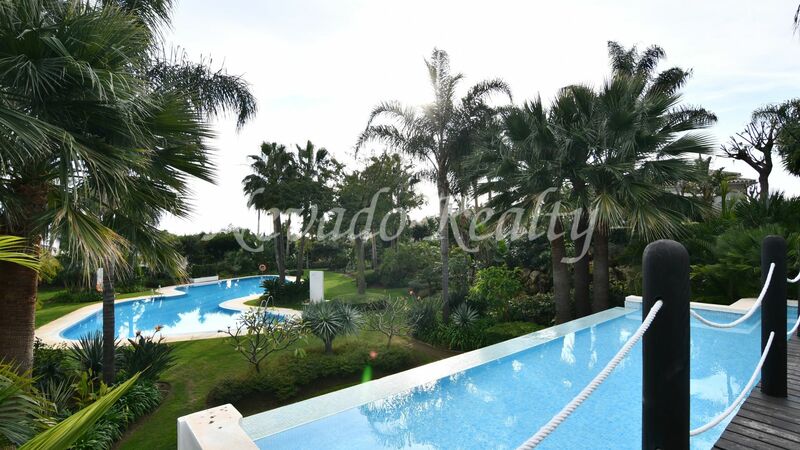 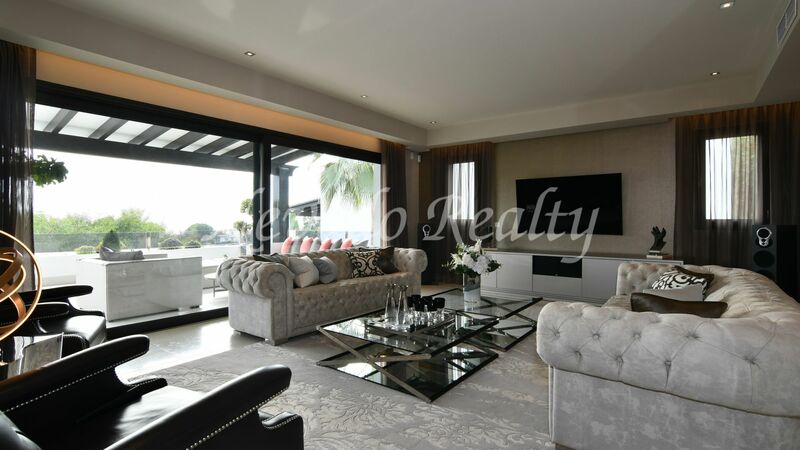 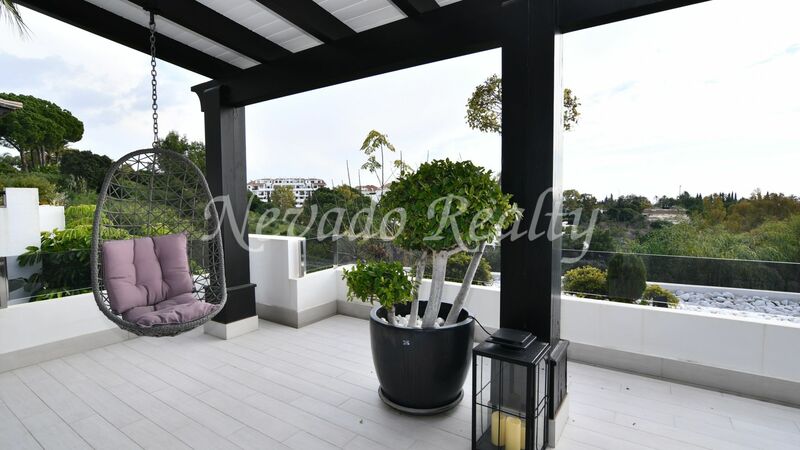 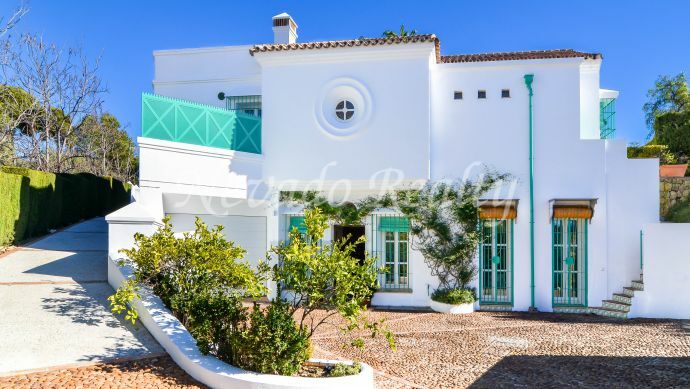 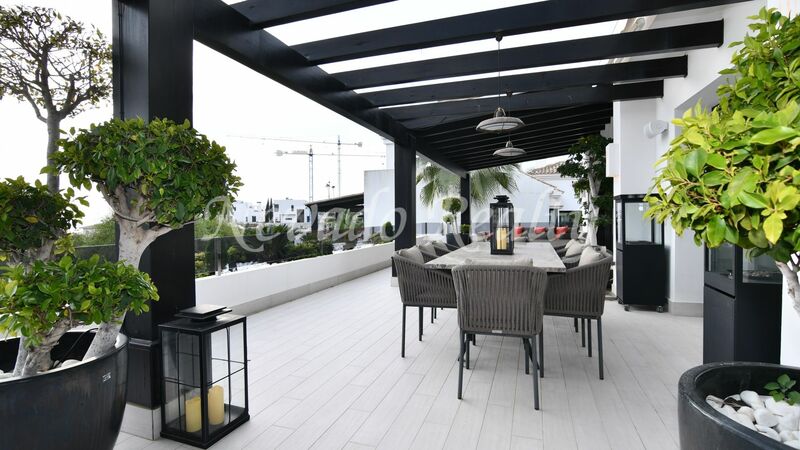 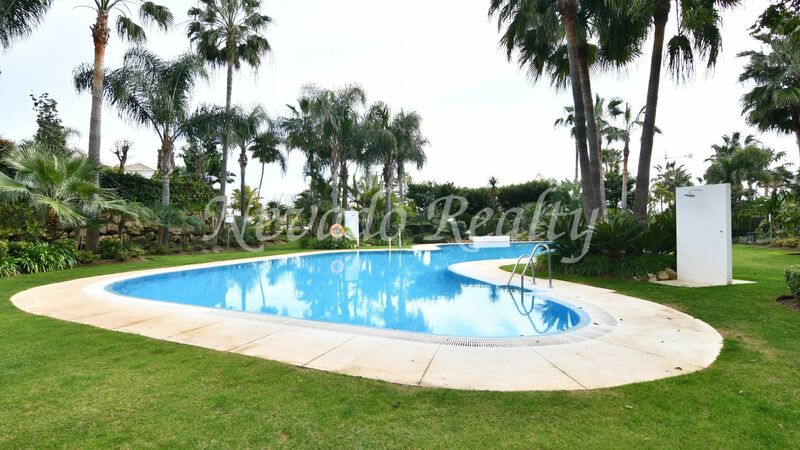 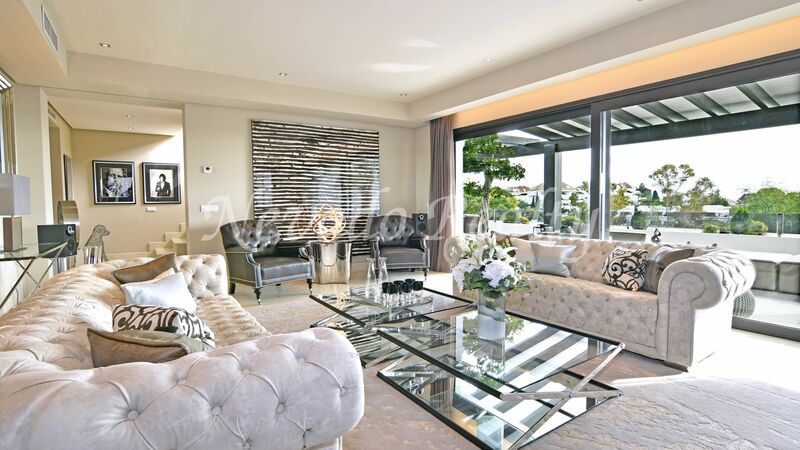 Impeccable villa with sea views in Lomas de Magna Marbella small urbanization composed of 18 independent villas in the heart of the Marbella Golden Mile, a few minutes drives from Marbella, Puerto Banus, beaches and all amenities. 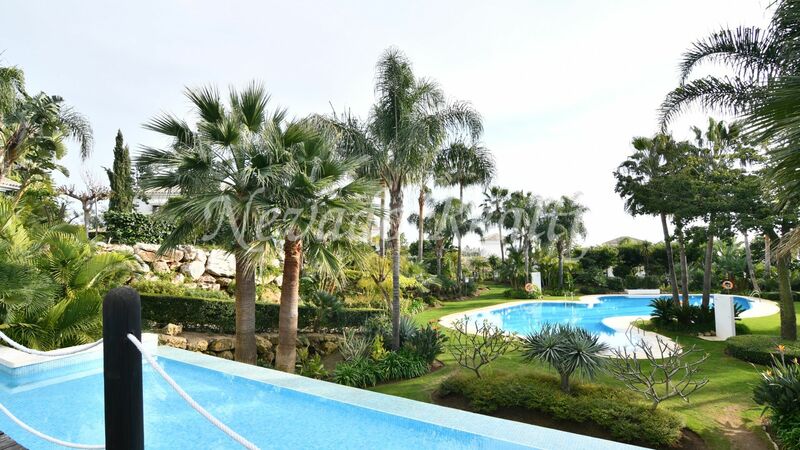 The urbanization has 2 community pools plus 24-hour security, access control and beautiful communal gardens. 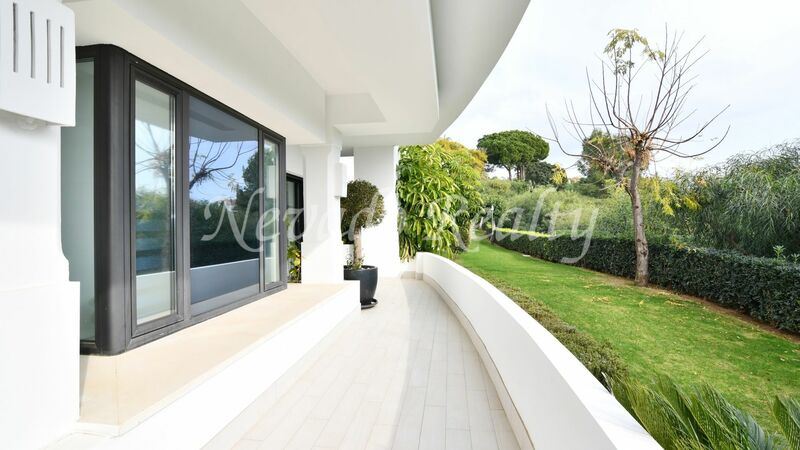 It is distributed on two floors plus a large solarium with panoramic sea views. 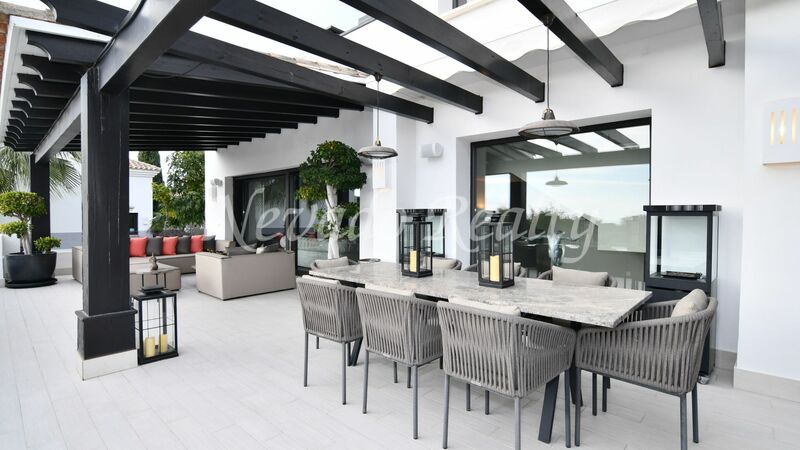 On the main floor, we find a spacious living room, separate dining room, modern fully equipped kitchen, bedroom suite and guest toilet; the terrace is partly covered with a wooden pergola, dining table for 8 people, barbecue, two fireplaces and sea views between the trees. 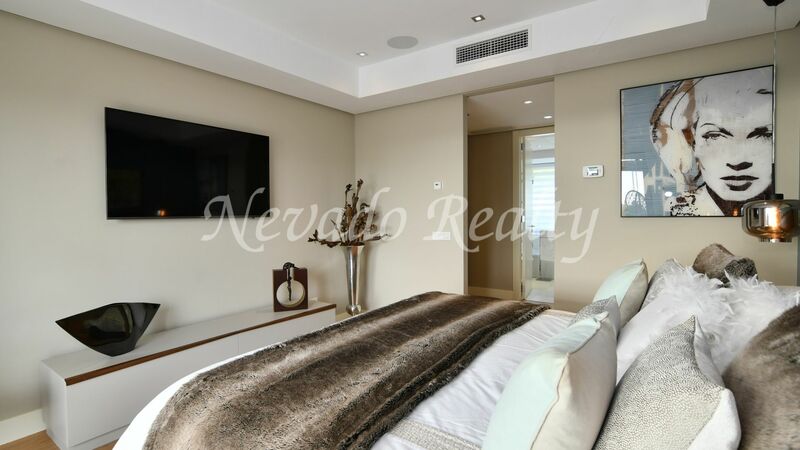 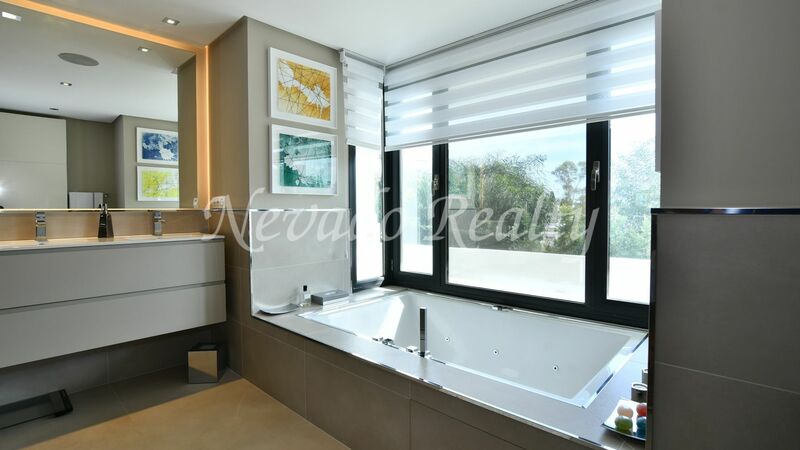 On the lower floor, there are 4 bedrooms en suite, highlighting the master bedroom with Jacuzzi, exit to the terrace and dressing room. 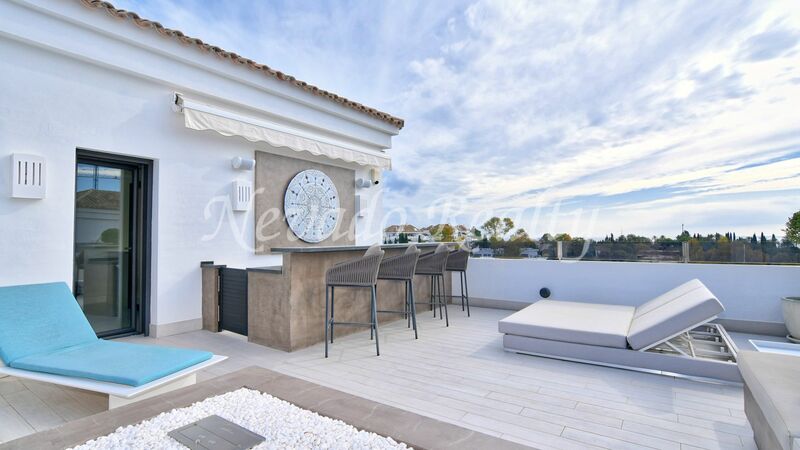 In the solarium highlights the chillout area with bioethanol fireplace and bar with everything you need to enjoy the wonderful climate of Marbella, including outdoor shower and wonderful views. 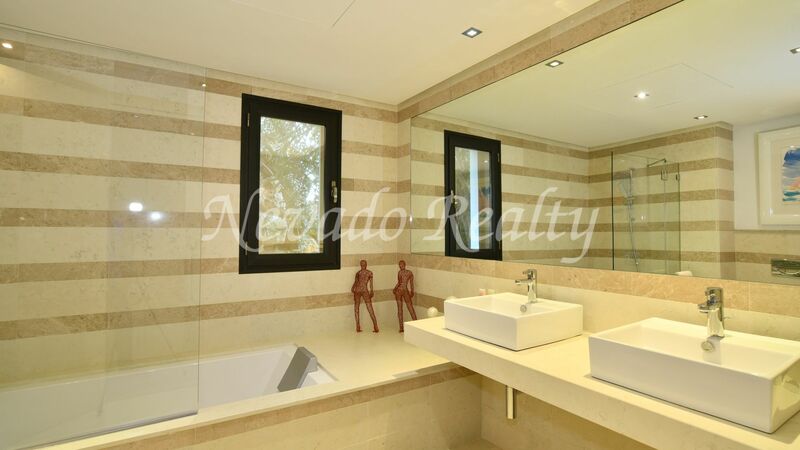 On this floor large garage with space for two cars, gym, storage room and laundry. 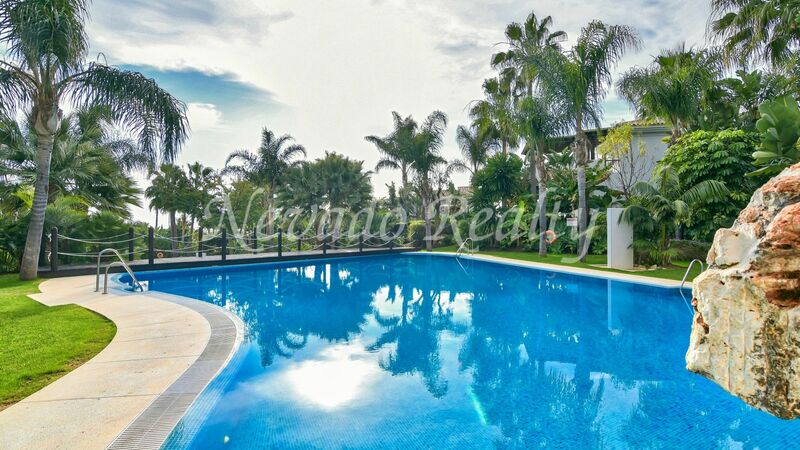 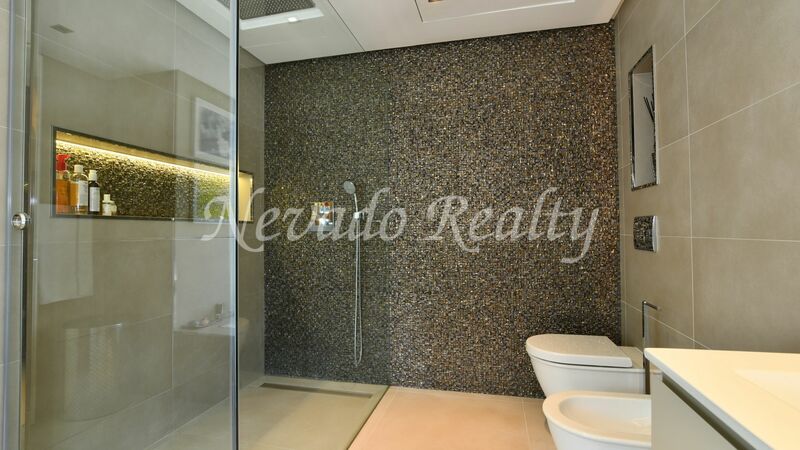 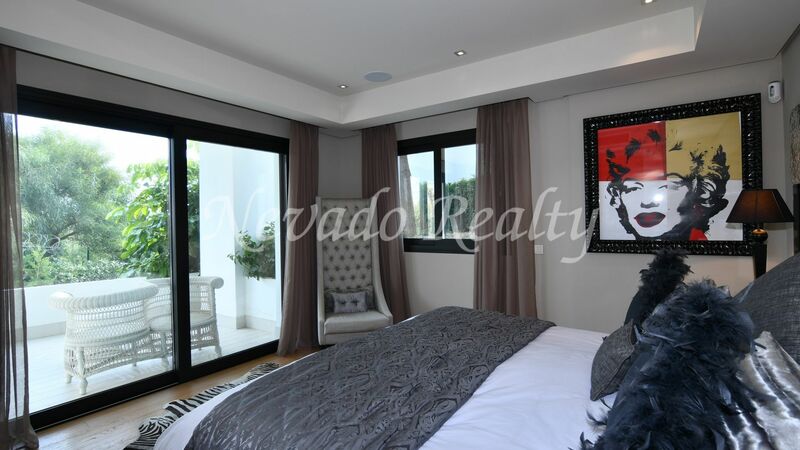 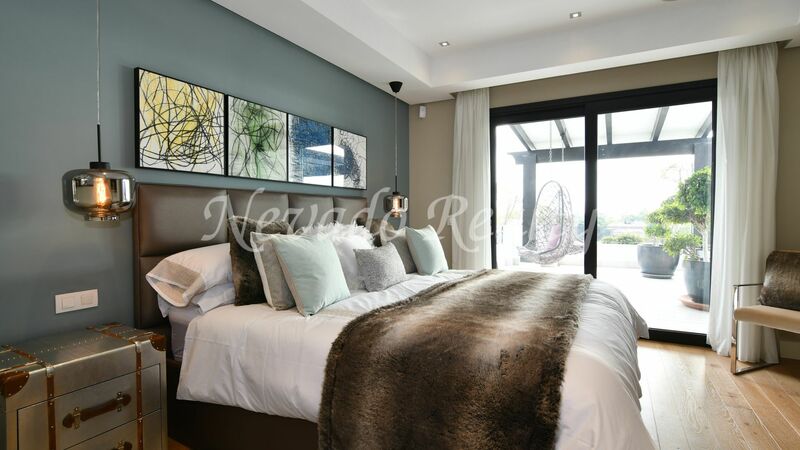 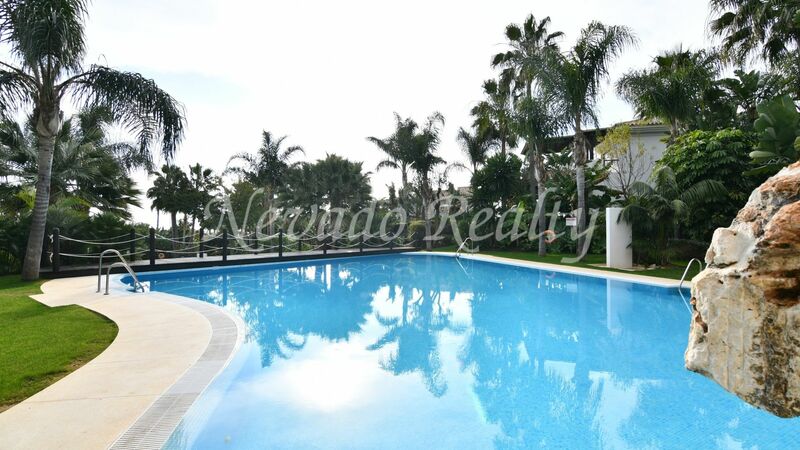 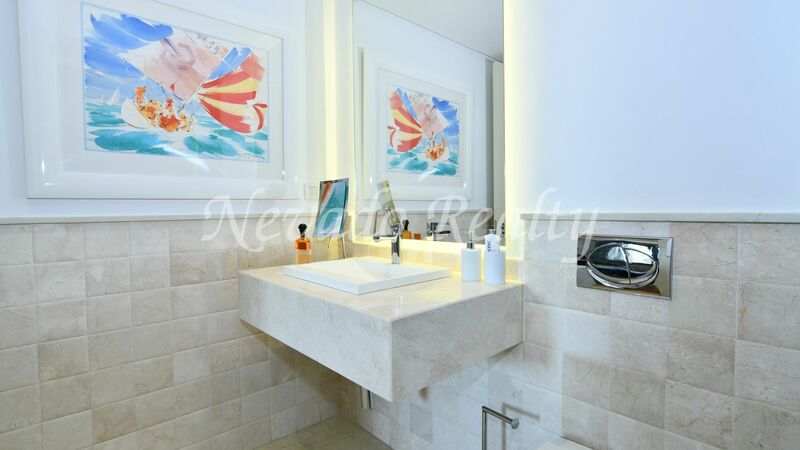 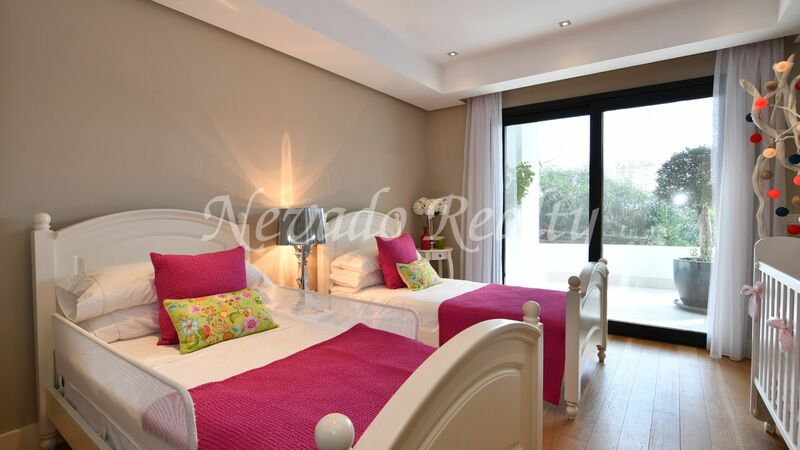 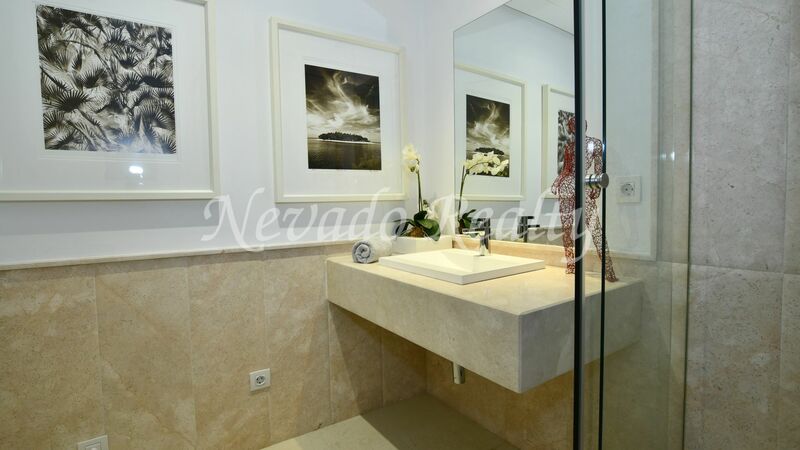 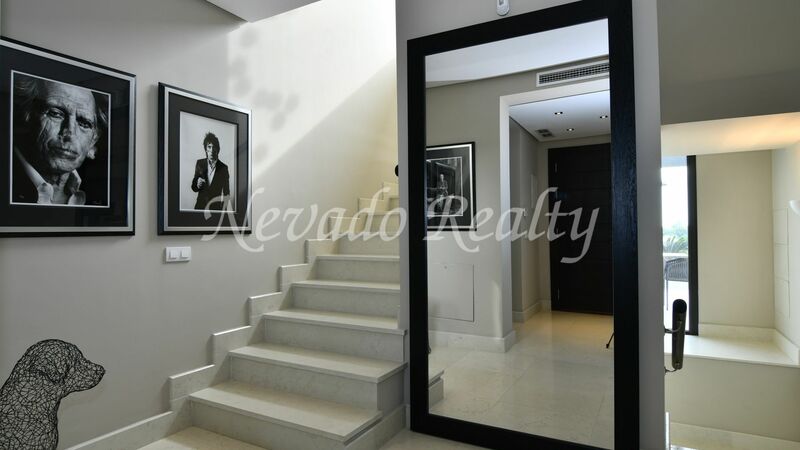 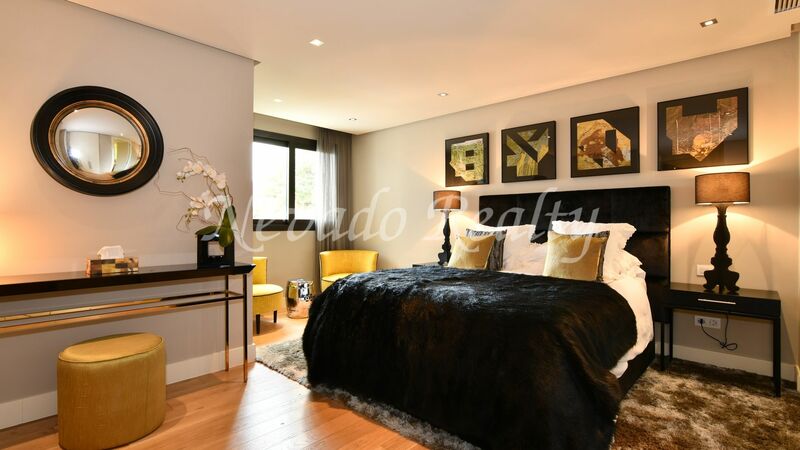 An independent villa within a gated complex with 24-hour security, very private and quiet. 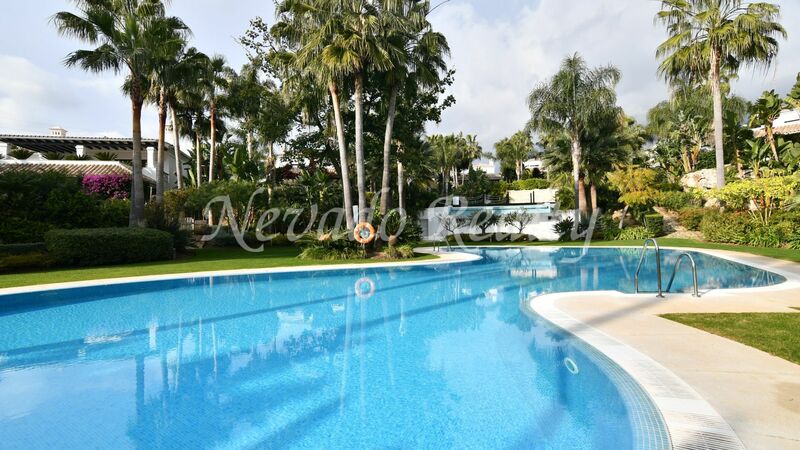 Please send me more information about ref 163-02711P, Villa in Las Lomas del Marbella Club, Marbella Golden Mile Or similar properties. 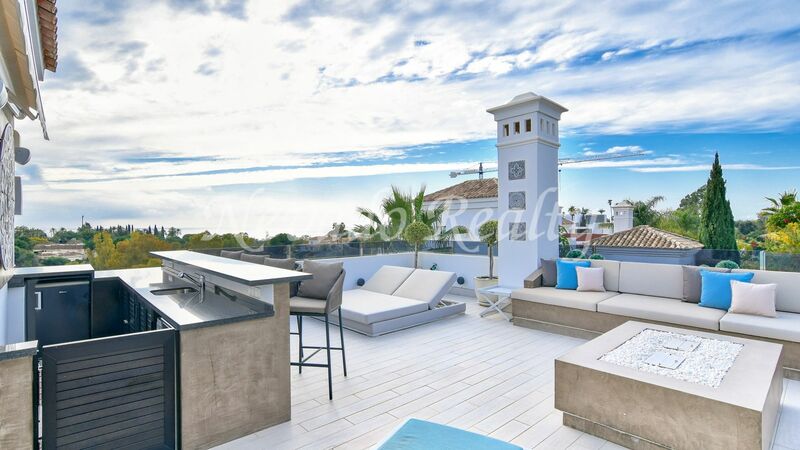 Why Buy and How much does a penthouse for sale cost in Marbella?